World Egg Day - something we had no idea was a thing until just recently, and we are so happy we got to be involved in this fantastic movement! We go through so many eggs a week, and are huge fans so anything we can do to support the industry, we are there! It is so important to us to have locally sourced healthy options and our Canadian eggs are so amazing for us! 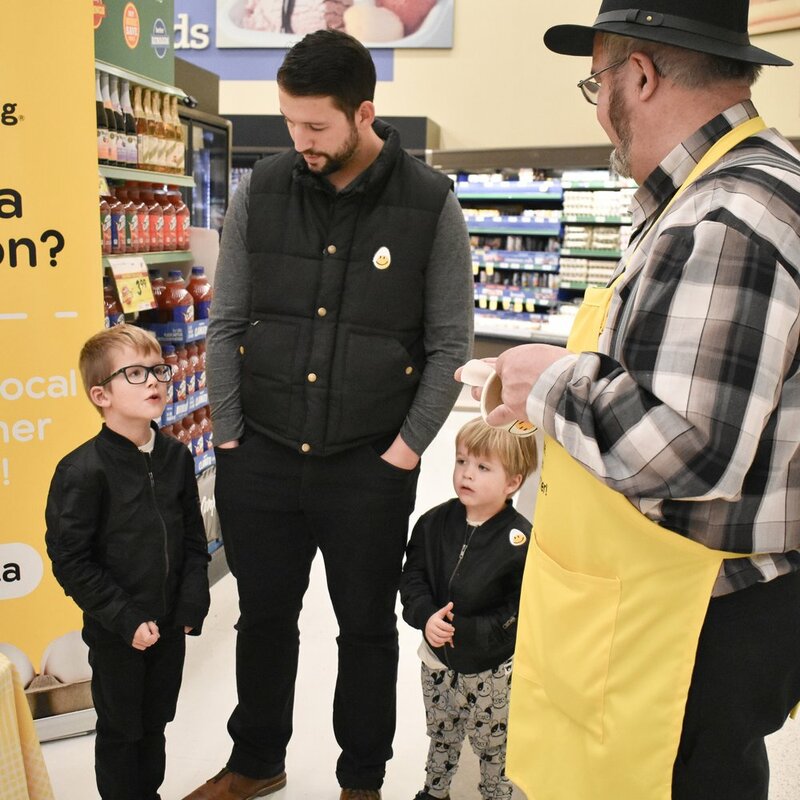 The event we went to was designed to bring attention to all the great things about Canadian eggs, from recipes and nutritional information for adults to colouring sheets and stickers for the kids! Probably the best part was that there was a local egg farmer who would answer any question you would ask. Talking to someone who actually supplies the food we eat and having him answer every and any question we had was so reassuring. John did a great job educating us about eggs. Jackson learned that eggs can be both white and brown, and the nutritional value of both egg types are the same. John also gave us a run down of both his and his chicken’s day, and taught us how adapted the chickens are to the sunlight. Apparently chickens wake up around 4:30AM, are fed and have laid their eggs before morning even begins, finishing their day around 4PM. I asked if he went to bed at that time as well, and he said he wished! All eggs at the grocery store are from local farmers! Attending World Egg Day was a blast and we will definitely be attending next year’s events! Make sure to check your area’s local events calendar and help educate yourself and your kiddos about our local egg farmers!